Size YSM (youth small 7/8). Under Armour youth girl's loose fit mint green short sleeve shirt. Machine Wash Cold. 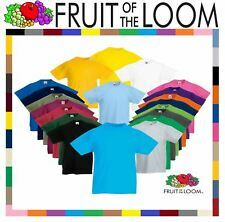 60% Cotton, 40%Polyester. Short Sleeve. 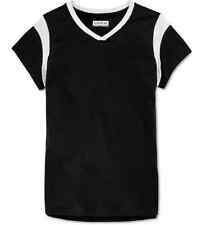 Under Armour youth girl's loose fit short sleeve shirt. 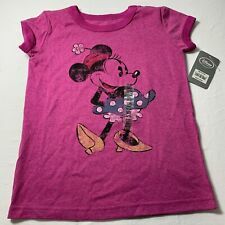 Disney Minnie Mouse toddler girls t-shirt graphic tee. Features adorable screen printed graphics of your favorite mouse, Minnie Mouse. Disney Frozen Anna & Elsa Blue Shirt. We are willing to work with you to resolve any issues you may have. We will take care of the problem quickly and give a fair response. NWT Girl's LOL Surprise. Glow In The Dark. 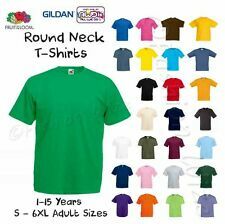 Size XS (4-5). Black w/ Pink. Girls Supergirl Shirt Size 10/12 Large New. Condition is New with tags. Shipped with USPS First Class Package. Collar and sleeves are red stripped and stretchable p. The S for supergirl is made of all sequences of rhinestones, the blue is a faded blue. Measurements are as follows shoulders to bottom of sleeve is 5 1/2 inches, top of the collar to the end of the shirt is 21 inches, and under arm to under arm is 30 inches around. If you have any questions please ask more than happy to get back to you. Thank you for looking and check out my many other items. Comes from a smoke-free and pet free home. Girl's Cap Sleeve Graphic Tee. Size: XS (4-5). Pink Glitter sparkle Detail on "Friends". Girl's Shirt by Paper-Tee Cut Out V- Neck Blue Velour Top. Crushed Blue Velour. 95% Polyester/ 5% Spandex. Ralph Lauren girls shirt. 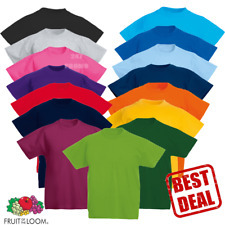 Short sleeved cotton tee shirt in magenta with tonal polo player at the chest pocket. Designed to have a worn look. 16.5" length from top of shoulder to hem. NWT Gray and Black Striped Short SleeveT-Shirt Enyce New York 1996. It has stones in front of the shirt and has a small scratch. (See pictures for details.). C olor:Gray and Black. Short sleeves. Harry Potter Youth Chibi "Up to No Good" Purple Shirt Size S (6/6x) LOT OF 2! !